It's been a slow start to proceedings. This year's batch of two-year-old Frankels have been kept under wraps. A couple have gone close. However, things are warming up as we saw a talented horse win on Saturday (4th August). Saeed bin Suroor, so much the poor relation to Charlie Appleby in recent years, may have something to smile about. The sun was shining at Newmarket after Dubai Beauty won well by one-and-a-half lengths in the Equine Hospital EBF Fillies' Novice Stakes (Plus 10) over 7f. This bay daughter of Frankel is out of a mare called Minidress, who won by four lengths on her debut back in 2011. 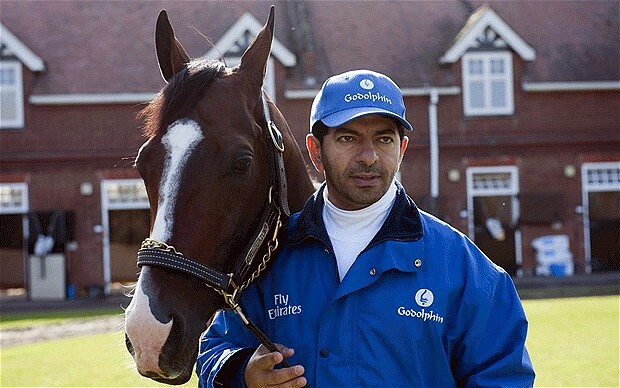 She raced just four times for shamed trainer Mahmood Al Zarooni. Dubai Beauty was fancied to go well, backed to 3/1 in a ten-horse race. The first two pulled clear of the field. Race comments: ''Soon pressing leader, ridden 2f out, led 100y out and soon on top''. This February foal hasn't received any lofty race entries yet but it is only a matter of time before this bay filly steps up to Group class. See the race result here. Other Frankel 2yo declared to run this week. 10th August Haydock - Fume, trained by Ralph Beckett. Has raced a couple of times, made 15/8f on debut when showing little and then struggling 5th of six at Newbury when priced 6/1.